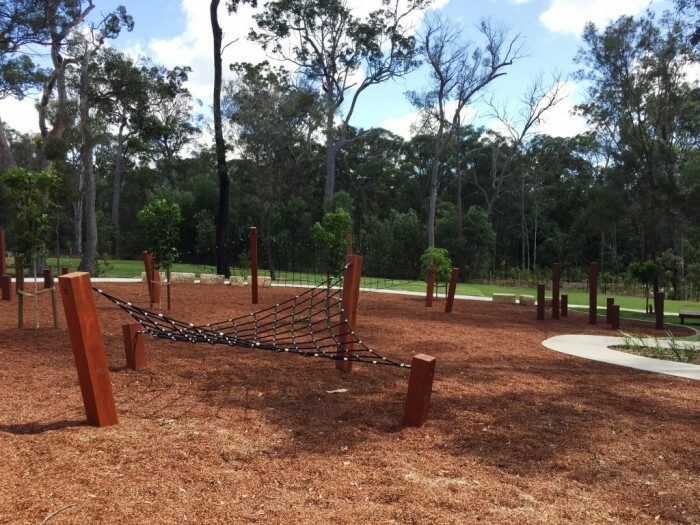 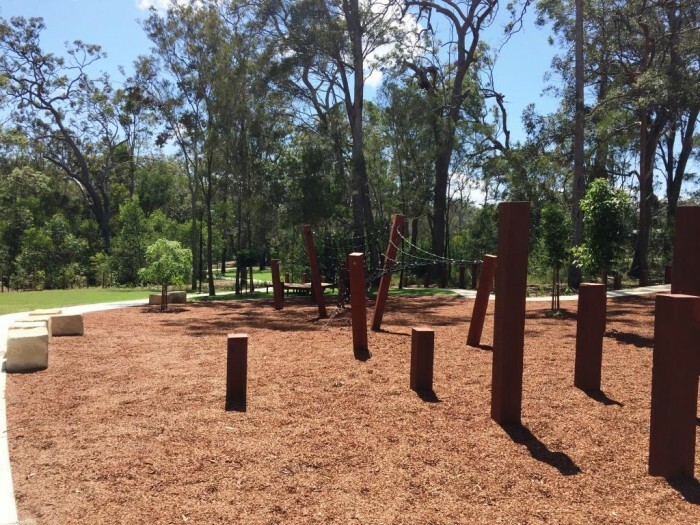 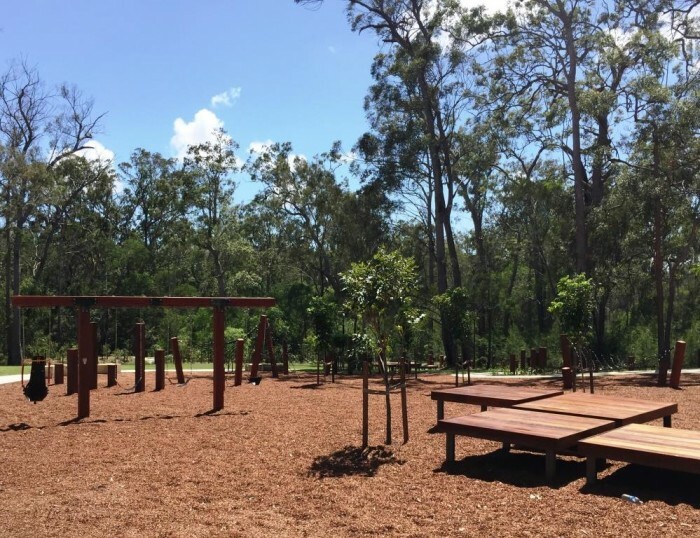 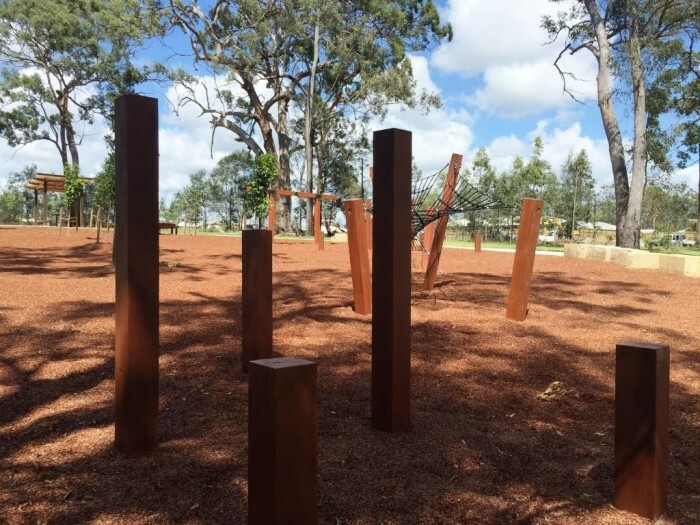 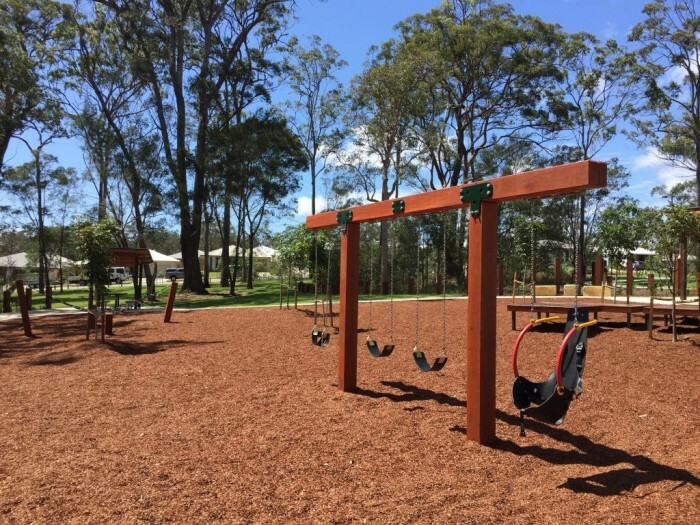 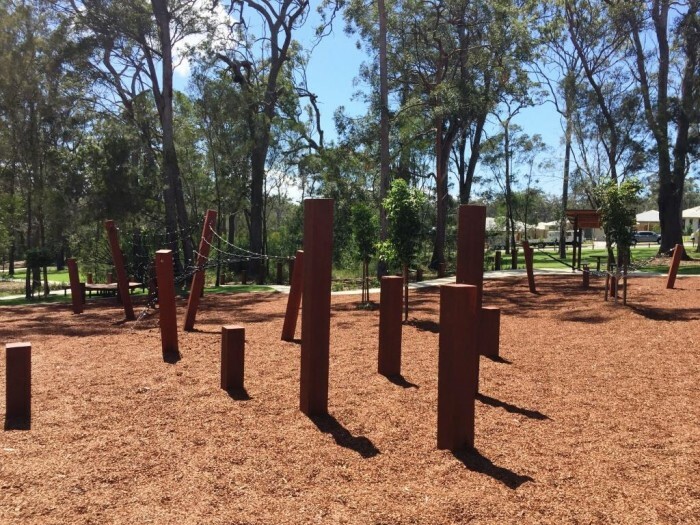 Set amongst massive gum trees, the Kookaburras sit in our nature inspired playground – merry merry kings of this engaging space designed by Planit Consulting. 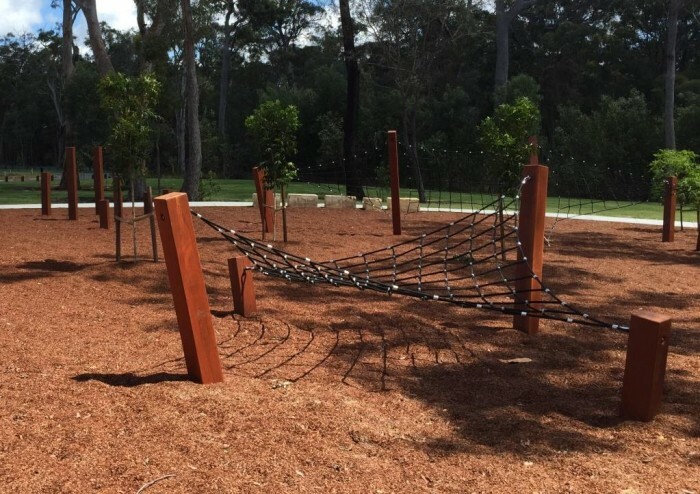 A great mix of timber play features blend into the natural environment – twist and torsion nets providing challenging and fun climbing, imagination and motor planning activities, and the giant timber swing with 2 strap seats, a toddler seat and an all abilities supportive seat offering truly inclusive fun. 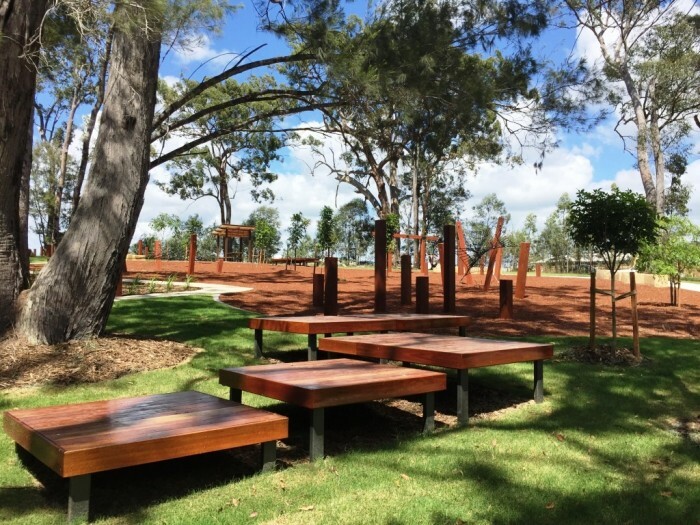 Timber and sandstone seating areas complement the space and the equipment, offering rest or additional play opportunities for visitors – all in all, another great example of our nature inspired range adding fantastic fun to the natural environment.